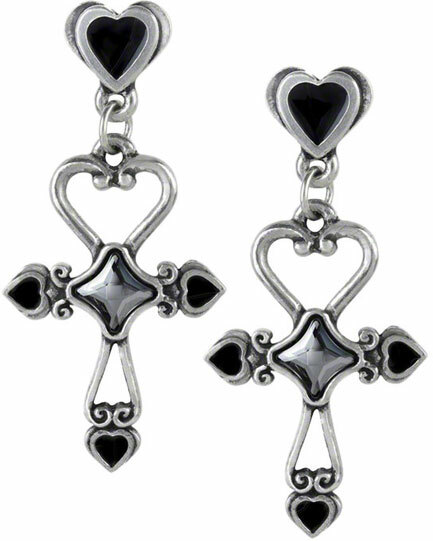 Heart shaped Egyptian ankh style earring with black hearts symbolizing the union of everlasting love with ever lasting life. The heart scrolled ankhs have a crystal center with enamel hearts. The pendant is suspended on an enamel heart mounted on surgical steel posts. 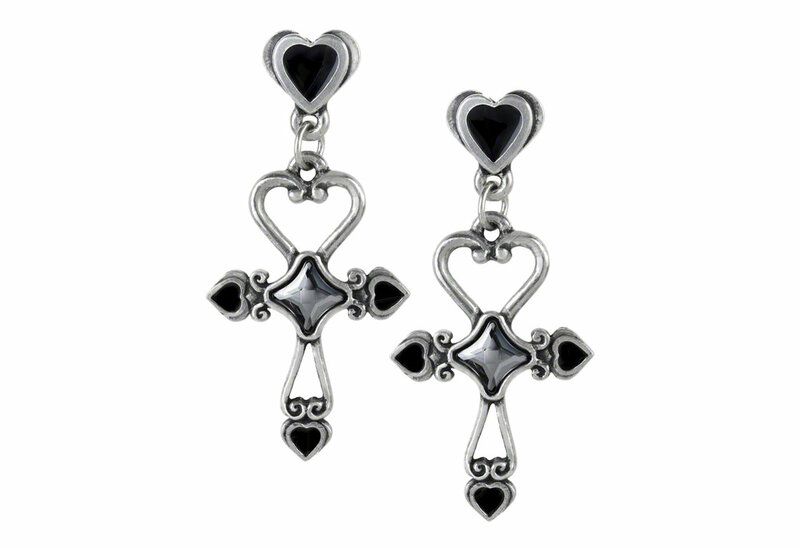 Made of fine English pewter with Swarovski crystal, steel posts and black enamel. Measures approximately 0.91 inches wide by 1.85 inches high and 0.12 inches deep. Imported from the UK.